Without much fanfare, the MLB Network has added Chris Rose to its roster of on air talent. Rose essentially replaces Victor Rojas, who left MLBN to take a full-time broadcasting role with the Los Angeles Angels (a role made available by the untimely death of Rory Markas). The official release did not mention if Rose would continue his duties as host of FOX’ baseball pregame and post-game coverage. The addition of Rose is MLBN’s highest profile, regularly contributing anchor. His addition also adds new blood to what has been a relatively stable roster of talent. Meanwhile, ESPN, faced with increased competition from MLBN, has gone on a hiring binge. Within the last few months, the World Wide Leader has added Nomar Garciaparra, Bobby Valentine, Aaron Boone and Doug Glanville to its lineup. The latter is ESPN’s most significant get as Glanville has established himself as an intelligent analyst in several other forums. Unfortunately, heavy doses of John Kruk insure that Baseball Tonight will continue to lose relevance, even though MLBN’s Harold Reynolds and Mitch Williams aren’t exactly thought provoking. 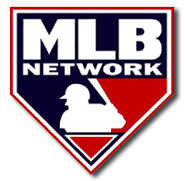 Still, as MLBN celebrates its second season of baseball, it seems clear that it has supplanted ESPN’s Baseball Tonight as the cable program of record for the sport (perhaps best symbolized by Peter Gammons switch from ESPN to MLBN back in February).